DevOps is a cultural and professional movement, focused on how we build and operate high velocity organizations, born from the experiences of its practitioners. Since 2009, DevOps practitioners have been gathering for locally organized conferences known as DevOps Days. We will be hosting DevOpsDays DC on June 11 and 12. I’d like to invite you to join us for DevOps Days DC as a speaker, participant, and DevOps enthusiast. The call for presenters (CFP) is open through April 15. 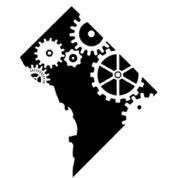 We are seeking presenters from the public and private sector working within 100 miles of DC who are eager to share their experiences with adopting DevOps practices in their organization. Submit your proposal today. Registration is open now and we’re excited to welcome a representative blend of attendees for our area. If you’re an employee of the Federal Government, we have a block of tickets set aside just for you. Please register for the “Government Admission” ticket type using your .gov or .mil email address. Everyone else (including federal contractors) can register for the “General Admission” ticket type. Register now to join professionals from organizations such as the US Patent and Trademark Office (USPTO), AddThis, Wells Fargo, and National Institute of Standards and Technology (NIST) at DevOpsDays DC. Sponsorship opportunities are also available. DevOpsDays is a self-organizing conference for DevOps practitioners that depends on your sponsorships to happen. Check-out this fun video to follow my journey towards mastery of Continuous Delivery! This video was initially released during ChefConf 2015. This and all of the other videos from ChefConf 2015 are available on YouTube. We created a little video to help explain DevOps. This video was initially released during #ChefConf 2014. Please note, this video does include some explicit language. However, there is a version that’s safe for all audiences. This and all of the other videos from #ChefConf are available on YouTube. Come DevOp with me! We’ll explore what DevOps is and what it is not. Last week Engine Yard announced the winners of their inaugural Engine Yard Innovators Awards. I was both honored and surprised when I learned that I had been chosen as the Engine Yard Innovator in the DevOps category. I was asked to write a post about some my work. This seemed like a good time to reflect on some of the work I’ve been doing for the past few years. In late 2009, I joined CustomInk to head up the Web Operations team. While there, I was able to help drive the adoption of many DevOps practices including automation, continuous delivery, collaboration across teams, expanded responsibility, and participation in open source communities. Part 4 of our Learning Chef tutorial was run as a Google+ Hangout that was streamed to YouTube. In Part 4, we completed the application deploy and then looked at roles. I’ll update this post soon with a breakdown of each step we took during this session. In the meantime, you can watch the entire video below. In Learning Chef - Part 5 we will move the MongoDB to it’s own VM. In the meantime, please let us know what you think of this post and these videos! Drop a note in the comments or reach out to @nathenharvey or @mulpat on twitter. Part 3 of our Learning Chef tutorial was run as a Google+ Hangout that was streamed to YouTube. In Part 3, we added a bunch of cookbooks from the community site including git, application, and application_ruby. After adding these cookbooks, we created a cookbook of our own to deploy a sample Rails application. The application wasn’t fully deployed by the end of the tutorial but we’ll pick-up from there next time. In Learning Chef - Part 4 we finish the deployment of the sample application and then explore roles. Part 2 of our Learning Chef tutorial was run as a Google+ Hangout that was streamed to YouTube. Chef Solo allows you to run Chef Cookbooks without a Chef Server. There are a number of things that you don’t get when using Chef Solo. Check the Chef Solo page on the wiki for more information.